Why She Won't Be Returning To The House of Reps. When the Lower House of the National Assembly House opens for business in the next dispensation, one of its most vociferous voices and most influential personalities will be missing from the crowd. After spending 12 productive years in the House of Representatived, Honourable Abike Kafayat Oluwatoyin Dabiri-Erewa has decided to gracefully bows out, as she will not be returning to the House in the next dispensation. Dabiri-Erewa, who has, impressively and meritoriously served for three terms, has a distaste for political sit-tight syndrome. She has consistently distinguished herself as a virtuous woman and a respected government functionary, thus, her decision to vacate the seat for other people to take the reins. According to reliable sources, having paid her dues, Dabiri-Erewa believes it is time to give other people the opportunity to serve as well. 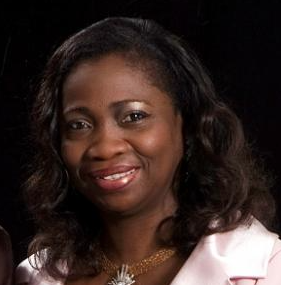 Dabiri-Erewa, 52, is a third term member of the House of Representatives at the National Assembly. This confers on her, the status of the most prominent female politician in Lagos State, and one of the most prominent politicians in Nigeria today. There is no doubting the fact that Dabiri-Erewa has paid her dues, proven her worth and done Nigeria proud. She is charismatic, cosmopolitan, polished and eloquent. And she is one of the few Nigerians with acceptable global presence. As the Chairman, House Committee on Diaspora Affair, Dabiri-Erewa is known to have the widest network of Nigerians in the diaspora. commitment and passionate dedication to duty while working on several heart touching Newsline stories stood her out and endeared her to many. Her display of bravery while investigating the story of little Mary, the miracle baby for eight years, remains indelible in the minds of many Nigerians. A firm believer in the importance of service to humanity, Dabiri-Erewa voluntarily retired from the services of the NTA to contest as a member of the House of Representative and swept the poll with a landslide victory in 2003. Ever since then, she has distinguished herself by working tirelessly. Dabiri-Erewa undertakes a lot of important bills, defends the interest of her party most vociferously and has a strong passion for service. A wife and mother of two, she has continued to play her motherly role in her constituency, Lagos, Nigeria and APC. Her constituency benefited from several projects implemented under her leaderahip which includes free eye test and cataract surgery, empowerment programs, cash donation to widows, water schemes, boreholes, electrification, training scholarship scheme for indigent youths and better health care services. Her achievements and qualities are indeed worthy of emulation. The sterling amazon builds her principles on the unwavering philosophy that success is not about age, it is not about character, it is not about how much you have in your account but how many lives you touch.